Born in India and now living and working in the Bay Area, painter Siddharth Parasnis considers himself a citizen of the world, traveling to exotic locales like Greece and Guatemala and taking inspiration from the bold textures and colors he encounters. 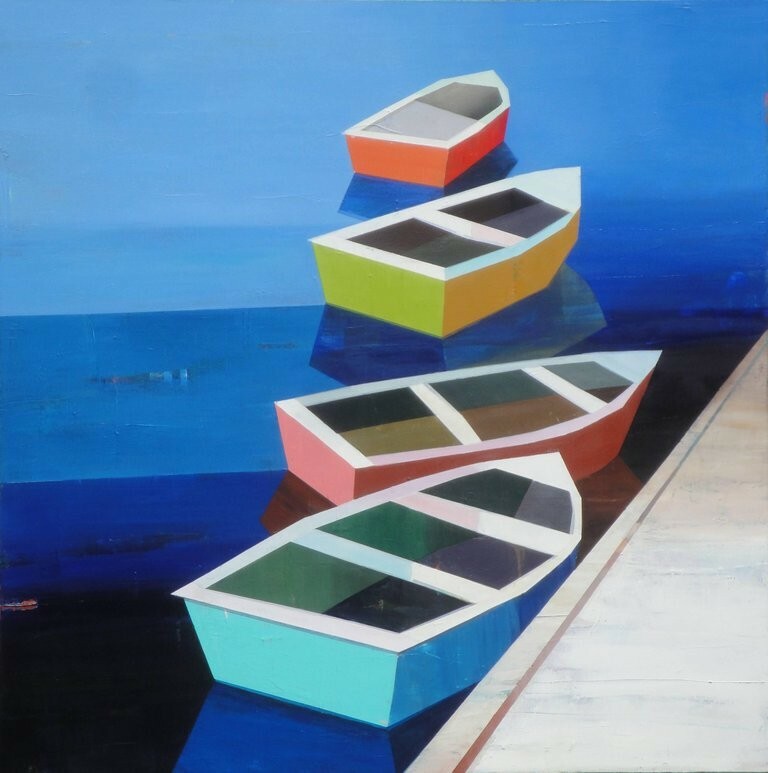 His latest exhibition, “Serendipity,” offers an engaging interpretation of the beachfront cityscapes and sun-drenched harbors of those regions with bright, blocky, polygon-like structures that evoke curiosity and playful nostalgia. “Serendipity” opens with a reception on Saturday, Nov. 3, at Caldwell Snyder Gallery, 1328 Main St., St. Helena. 4pm. 707.200.5050.